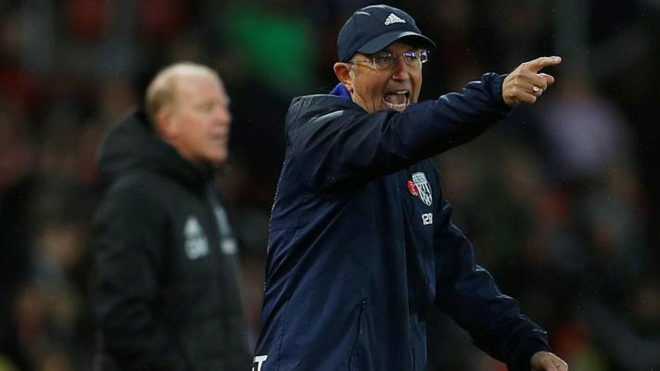 West Bromwich Albion, who have not won a Premier League game since the middle of August, will be facing the best team in Europe when they take on Manchester City on Saturday, manager Tony Pulis said. Albion won their opening two league games, but four draws and three defeats since then have left them two points above the relegation places ahead of the league leaders' visit. "Playing the best team in Europe at the Hawthorns is something to relish," Pulis told reporters. "People coming to the stadium will watch a very, very good team. "The lads should go out there and give it a really good go. We know what we're up against. "They're one of those teams I think are really special." Albion will adapt their game, he added, without offering any clues as to how they hoped to cope. "We'll approach it a little bit different to normal. They've been special this year."